When will be River Hunters next episode air date? Is River Hunters renewed or cancelled? Where to countdown River Hunters air dates? Is River Hunters worth watching? 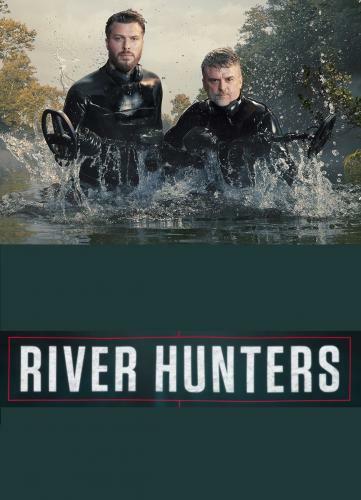 In River Hunters, Rick Edwards and river-searching expert Beau Ouimette visit some of the most historically significant sites across Britain: covering iconic events and battles including Roman Briton, the Wars of the Roses, the Reformation and the English Civil War. Their searches of these unexplored rivers and waterways unearth treasures from the past which reveal how our various ancestors used to live.As the artefacts surface from under layers of silt and rocks, the duo will meet with local archaeologists and historians to unearth the stories and people behind the finds. Spanning each river's layered past, the new series will offer a fresh perspective and even redefine our history as we know it.Using state-of-the-art technology, archive maps and contemporaneous accounts from the period, Beau and Rick perform the first underwater archeological digs in some of the most exciting and iconic historical sites in Britain, often in dangerous and fast-flowing water. This episode sees Rick and Beau head to the vast River Trent, site of one of the greatest strongholds of the English Civil War – Newark Castle. In the first official search of the waterway, the River Hunters will be searching for lost Civil War relics that reveal the secrets of this brutal battleground. The duo start their search directly next to the castle and find evidence from the key advances in warfare at the time, which eventually helped lead to the King's demise. They also discover musket balls among other lost items that help picture the harrowing life in this turbulent time. Rick and Beau return to the River Trent to follow in the bloody footsteps of the Vikings as they invaded 9th century Britain. In the first ever archaeological river search of key Viking sites, they hunt for relics of Chief Ivar The Boneless and the Great Heathen Army as they conquered the Anglo-Saxon Kings of England. The River Hunters start their search next to the site of the largest ever Viking burial ground found on the British Isles, Repton Monastery, before heading to Tamworth to search the Trent tributary - the Tame. Rick's childhood dream comes true when he finds Viking relics – they also discover something that could be even older, an ancient stylus which would have been potentially used at the abbey. Episode five sees Rick and Beau head to Britain's most spectacular and best-preserved Roman frontier – Hadrian's wall, where they scour the River Eden and River Carlisle which flow along its path looking for lost evidence from the might of 2nd century Rome and the invaders' brutal occupation of Britain. Beginning their search at the carefully protected site of Chester's Roman Fort, the team conduct the first ever archeological search of the neighbouring waterway and proceed to Carlisle, once a bustling metropolis of Roman activity. In Carlisle, Rick and Beau check out the recently discovered and excavated Roman bath house that has never been searched. With a host of great finds, chief among them a Roman coin from the House of Constantine c.330-340, the team discover signs of life from this great empire that helped shape much of modern life. This time on River Hunters at the edge of one of Britain's greatest castles, Rick and Beau battle the forceful River Tees. In the first archaeological river search of this spot ever, the boys search for lost Tudor relics from a gruesome 16th century siege at Barnard Castle and secrets of this ancient borderland. During their search, the team unearth some potential medieval finds that could have been used in the castle at the time of the siege and also come across other finds likely to date back to the 16 and 1700s. In the seventh episode Rick and Beau take on the stunning River Wear – a natural fortress protecting the ancient city of Durham and its sacred Cathedral, where in the 1500s Henry VIII seized power of the Church and the Cathedral's shrines were plundered. Joined by Archaeologist Gary Bankhead, the team find artefacts spanning Durham's rich past from the 1200s reign of Edward I, helping to shed light on the history of the city. In the last episode of the series Rick and Beau head to the River Avon at the foot of one of Britain's most historic sites, Old Sarum near Salisbury, in search of William the Conqueror and his legacy. Following his defeat of King Harold at The Battle of Hastings in 1066, William the Conqueror built an imposing motte and bailey castle at Old Sarum in 1067, where he's believed to have been presented with the infamous Doomsday book. From here, Rick and Beau follow the Avon – just as the population and sacred cathedral did, which was moved brick by brick down river to Salisbury. They search for the town's 13th century beginnings and how it built successful trades that lead to its survival, unlike the abandoned Old Sarum. From their searches, the team unearth an array of Roman coins, the oldest of which dates back to the 3rd century, as well medieval plates and tilery that are potentially from the time of William the Conqueror. River Hunters next episode air date provides TVMaze for you. EpisoDate.com is your TV show guide to Countdown River Hunters Episode Air Dates and to stay in touch with River Hunters next episode Air Date and your others favorite TV Shows. Add the shows you like to a "Watchlist" and let the site take it from there.